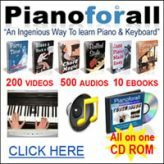 Best keyboards - how to choose the best music keyboards. What are the best keyboards for you? What are the best keyboards? What should you choose? Well it all depends on your own personal needs. What may be best for you may not be for someone else. In this section on best keyboards you will learn how to decide what is right for you according to the number of keys it comes with. Most keyboards come with either 61, 76 or 88 keys. Some of them also come with 32 or 49 keys. 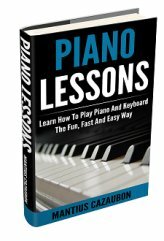 If you're looking to play professional piano, if you're a serious pianist or piano student, an 88-key keyboard is a must. If you're looking for an acoustic piano replacement, 88 keys is a must. With 88 keys you can play any composition and not have to transpose. Usually, the keys on 88-key keyboards or digital pianos are weighted. So this is great for those looking for an acoustic piano substitute. 88-key Yamaha digital pianos usually come with a feature called Graded Hammer Effect in which the keys are heavier in the lower registers and lighter in the higher registers just like a real acoustic piano. But if portability is an issue, the best keyboards for you would have to come with either 61 or 76 keys. These 61 key and 76 key keyboards would be smaller and lighter and would be easier to carry around. Easy to carry in the trunk of your car for example. Easy to carry on flights. Great for gigs. Usually, keyboards with fewer keys cost less than those with more keys if all other features are the same. So this would be a great way to save money and still get all the important features you're interested in. I own 76 key keyboards and I don't think I ever had the need to transpose when playing just because it has fewer keys. This has never been an issue. At the end of the day, it's all about what works for YOU. Click here to compare prices and buy a keyboard of your choice.